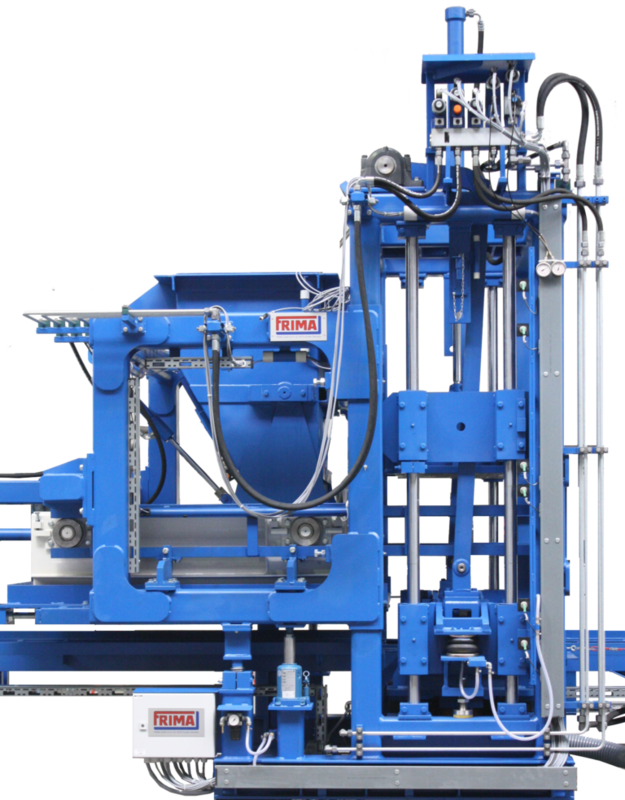 As a full-service supplier, we offer you a comprehensive product range of concrete block machines. The models cover various customer requirements and leave plenty of scope for individual adjustments. 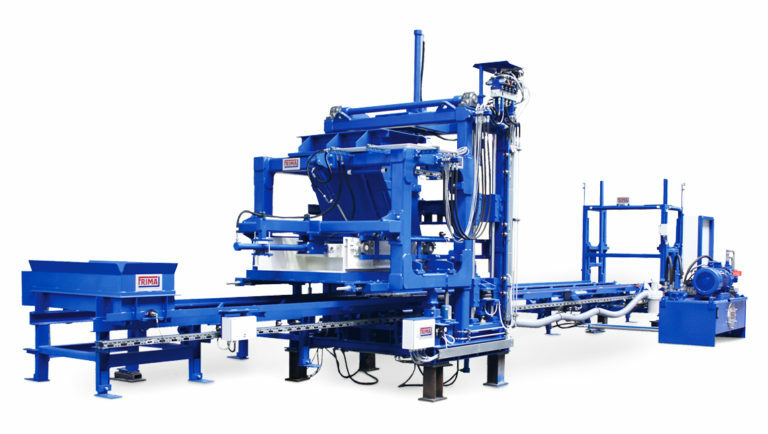 As a core element of the system, concrete block machines from FRIMA can be integrated into a wide variety of system layouts and combined with a variety of other systems. You only have one responsible project partner. All parts of the system are perfectly tailored to one another. The comprehensive FRIMA product range offers individual solutions for all your needs. But we also see ourselves as a development partner who works with you to design, manufacture and accompany your solution right through to commissioning. The E500 is a compact entry-level solution among concrete block machines. It offers 100% functionality and maximum flexibility in the smallest space. The FRIMA E500 is cost-effective, flexible and meets all the technical requirements to guarantee reliable and high-quality concrete production. Easy to operate, the E500 offers a wide range of production options: Paving stones, kerb stones, concrete slabs, wall and hollow blocks or garden elements. The FRIMA E500 wins over customers with an optimal price-performance ratio. The P650 concrete block machine is the all-rounder that grows with the demands of our customers. It is a compact stone forming machine that can be expanded and enlarged at will. Thanks to the versatile system configuration and an integrated modular system, you can expand the machine into a fully automatic circuit. Easy to operate, the P650 offers a wide range of production options: Paving stones, kerb stones, concrete slabs, wall and hollow blocks or garden elements – the FRIMA P650 wins over customers with a wide range of products with reliable high-quality. The HP series guarantees the highest product quality for large production areas. Industrial suitability, easy handling and highest efficiency – as a board paver, the HP machines are, thanks to technological refinements, the top class of the FRIMA family. Regardless of whether centralized or decentralized automation structures: Extensions can be adapted at any time. The HP series is already the top solution for the concrete production of tomorrow. The HP800 was designed as a board paver both in its performance range and in its functional equipment for a wide range of applications and highest production outputs. 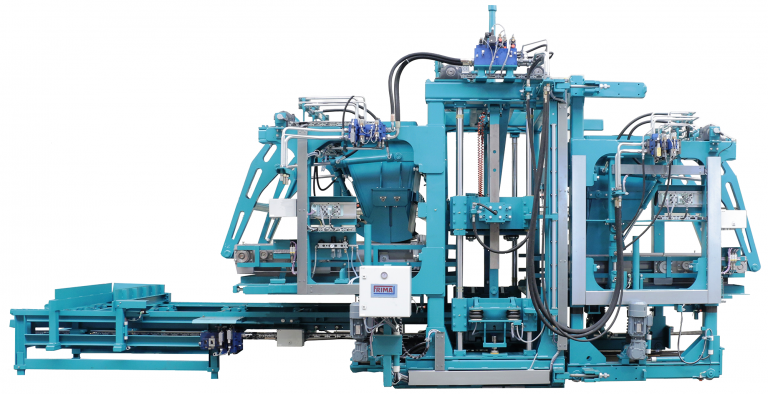 In order to achieve consistently high product quality in this production area as well, the machine is available with a number of technical features that make it a top-of-the-range model for concrete block machines. Our focus during development was the industrial suitability and ease of use. This results in a very stable frame structure as well as installation and maintenance-friendly components. Another advantage of this flexibility also relates to the control technology. Extensions can be integrated at any time with both centralized and decentralized automation structures. That makes the HP 800 a future-proof solution. 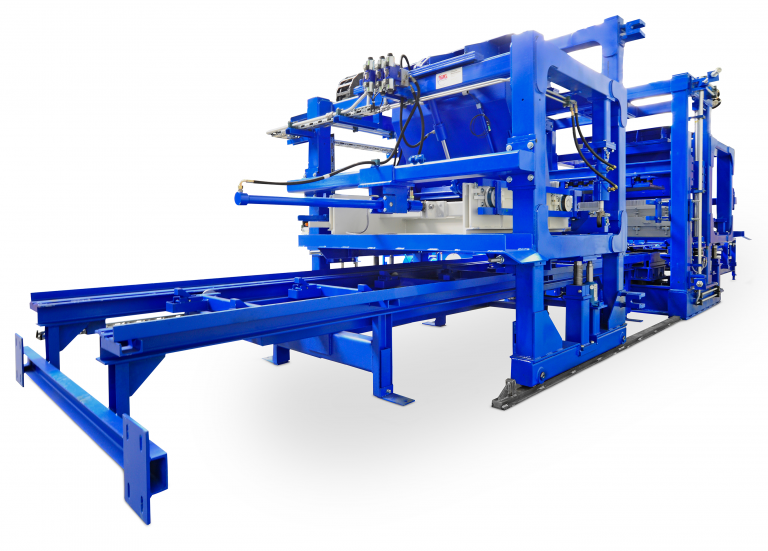 The compact HP800 stone forming machine allows you to produce the full range of concrete building materials such as paving stones, kerb stones, concrete slabs, wall and hollow blocks or garden elements. • Production base: 1400 x 600 mm min., 1400 x 800 mm max. The HP1000 was designed as a board paver both in its performance range and in its functional equipment for a wide range of applications and highest production outputs. Another advantage of this flexibility also relates to the control technology. Extensions can be integrated at any time with both centralized and decentralized automation structures. This makes the HP 1000 a future-proof solution. 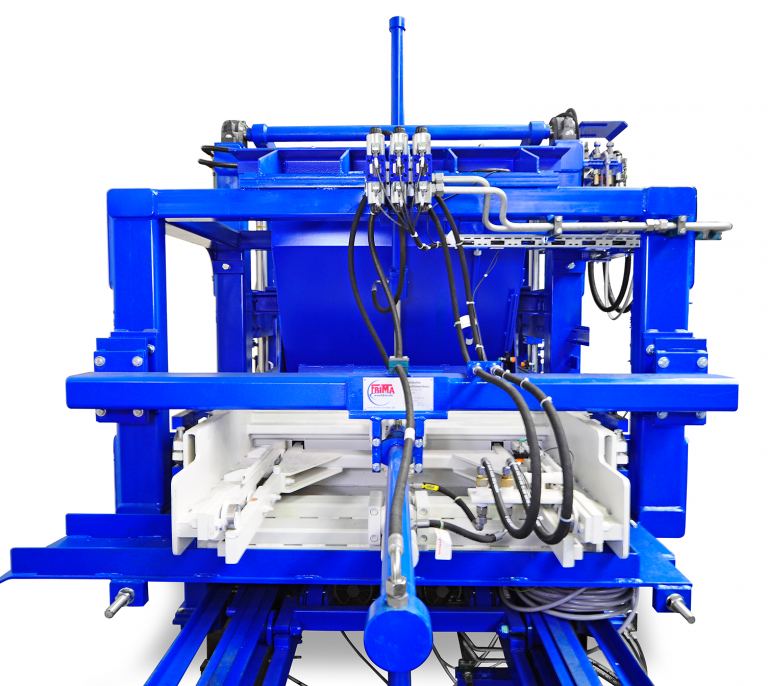 The compact HP1000 stone forming machine allows you to produce the full range of concrete building materials such as paving stones, kerb stones, concrete slabs, wall and hollow blocks or garden elements. • Production base: 1400 x 800 mm min., 1400 x 1000 mm max. The HP1200 was designed as a board paver both in its performance range and in its functional equipment for a wide range of applications and highest production outputs. Another advantage of this flexibility also relates to the control technology. Extensions can be integrated at any time with both centralized and decentralized automation structures. That makes the HP 1200 a future-proof solution. The compact HP1200 stone forming machine allows you to produce the full range of concrete building materials such as paving stones, kerb stones, concrete slabs, wall and hollow blocks or garden elements. • Production base: 1400 x 1100 mm min., 1400 x 1200 mm max. The HP1400 was designed as a board paver both in its performance range and in its functional equipment for a wide range of applications and highest production outputs. Another advantage of this flexibility also relates to the control technology. Extensions can be integrated at any time with both centralized and decentralized automation structures. That makes the HP 1400 a future-proof solution. The compact HP1400 stone forming machine allows you to produce the full range of concrete building materials such as paving stones, kerb stones, concrete slabs, wall and hollow blocks or garden elements. • Production base: 1400 x 1300 mm min., 1400 x 1400 mm max.